Situated in Achi, this ryokan is within a 10-minute walk of Hirugami Onsen and Achi Shrine. Along with a restaurant, this ryokan has a bar/lounge and gift shops/newsstands. Free WiFi in public areas and free self parking are also provided. All 27 rooms boast deep soaking tubs and offer free WiFi and flat-screen TVs. Refrigerators, separate bathtubs and showers, and hair dryers are among the other amenities available to guests. Limited housekeeping is available. Yura No Yado SEIFUEN features hot springs. The ryokan offers a restaurant. A bar/lounge is on site where guests can unwind with a drink. Public areas are equipped with complimentary wireless Internet access. 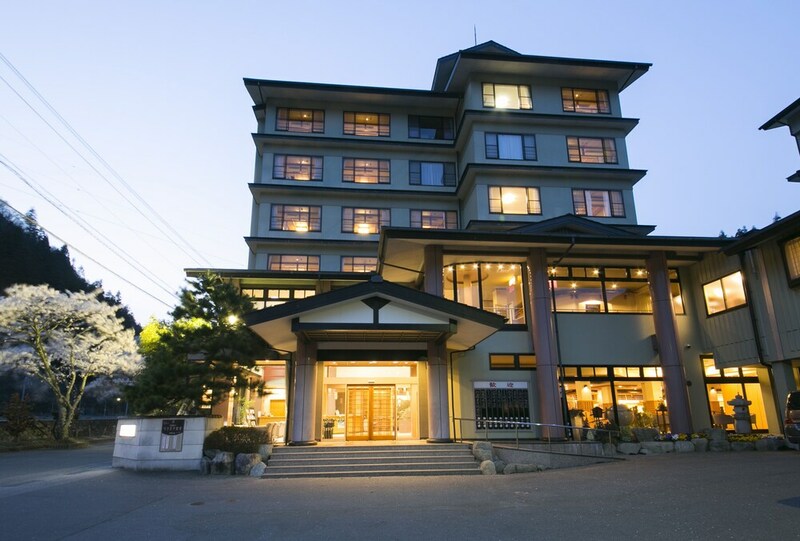 This hot springs ryokan also offers gift shops/newsstands and an elevator (lift). Onsite self parking is complimentary. Yura No Yado SEIFUEN has designated areas for smoking. Yura No Yado SEIFUEN has a restaurant on site. The front desk is open daily from 6 AM - 7:00 PM.